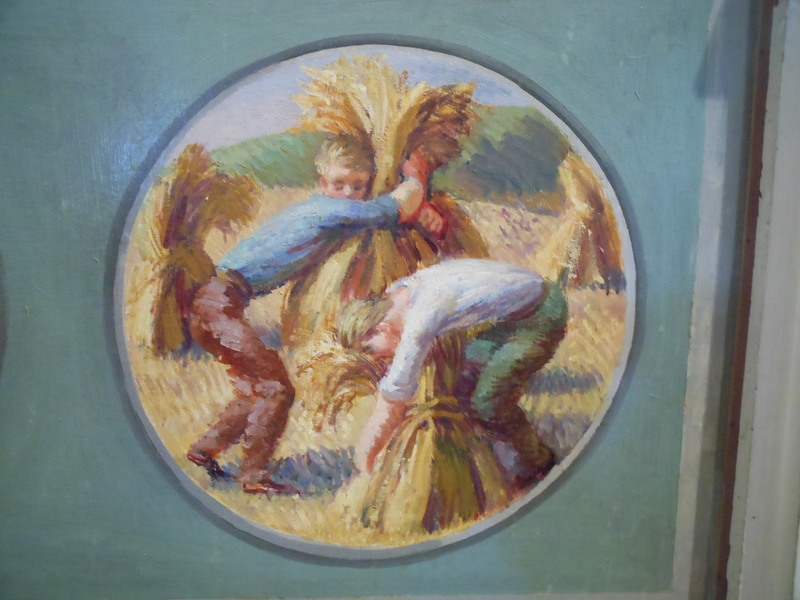 For Thanksgiving Day, I thought I’d post some paintings from beautiful Berwick Church in southern England. 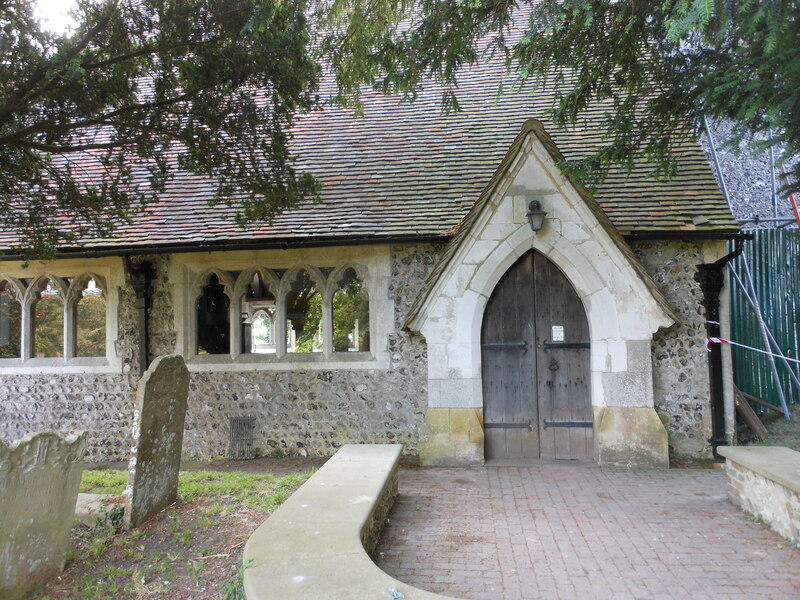 St. Michael and All Angels is a little parish church in Sussex, dating back to at least the 12th century. Parts of it are even older, dating from Saxon days. It was given a modern artistic touch in the 20th century. During the First World War, the famous Bloomsbury group of artists, writers and intellectuals decamped from their London homes and occupied the Charleston Farmhouse and Monk’s House in this area. The men were mostly conscientious objectors. 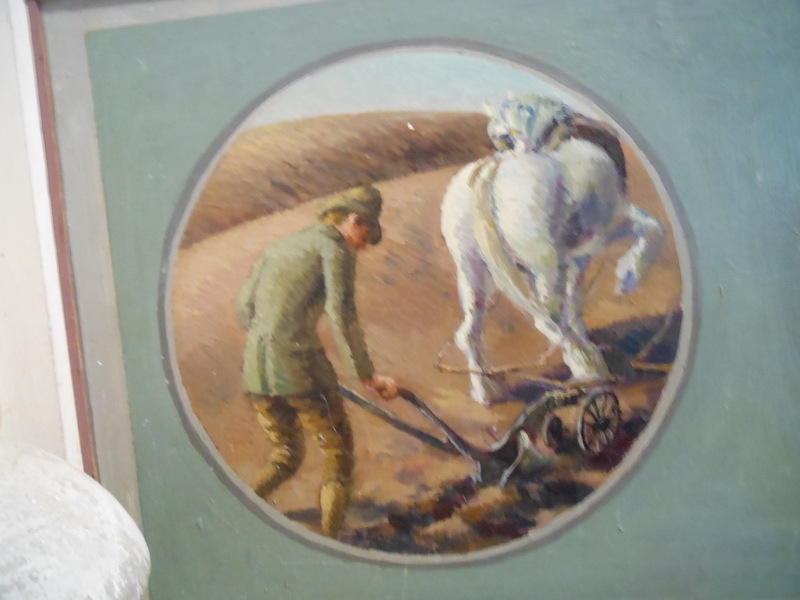 They fulfilled their patriotic duty by doing farm work in Sussex. 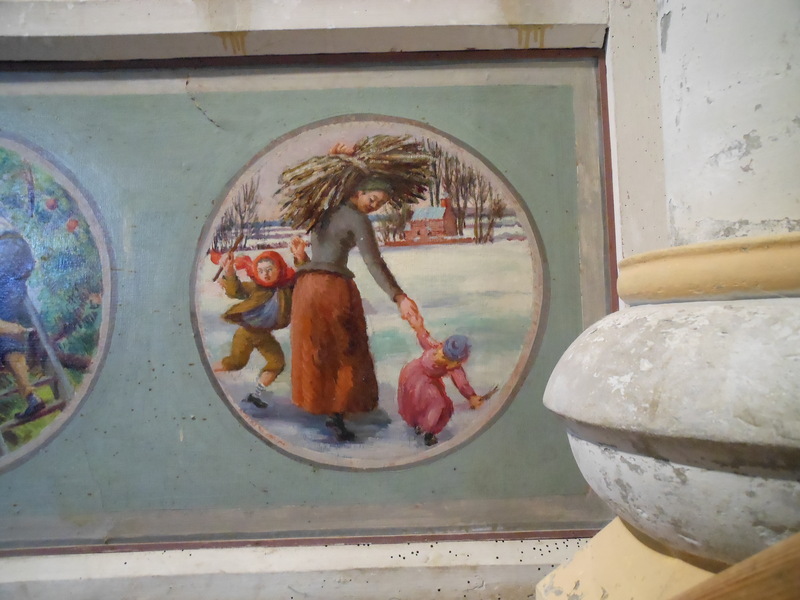 In 1941, several artists from the group were hired to paint new murals and decorations in the ancient church. These are some of the few remaining works of Vanessa Bell, Duncan Grant, and Quentin Bell. 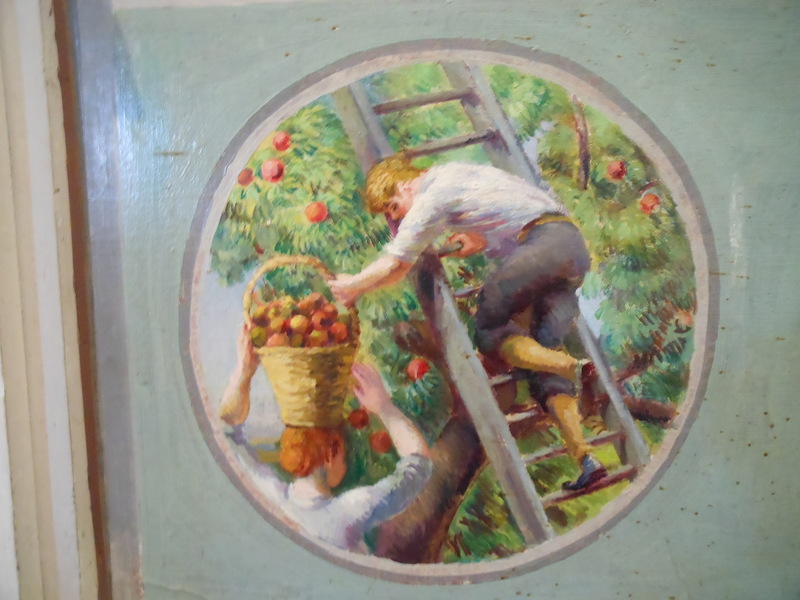 They depicted themselves and their friends, both as country laborers and as figures in sacred scenes. The artists were all free-thinkers and even atheists living unconventional, sometimes scandalous lives. But the local religious authorities hatched an ambitious plan to give artists employment; they hoped the plan would spread all over England’s ancient churches. 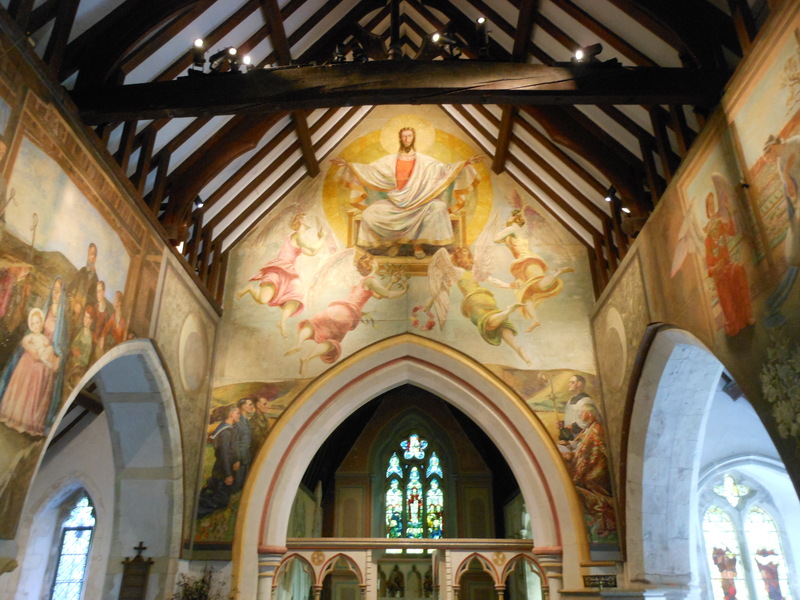 That didn’t happen, but I’d like to think the Bloomsbury group occasionally attended a service at the little country church they decorated so beautifully. Berwick Church stands as an example of cooperation and understanding between people with very different views of the world. After the tumultuous election season Americans just endured, I think we can use some cooperation and understanding. We’re different, but we can stand together. As for me, I’m spending Thanksgiving Day on an airplane, heading off on a new adventure. 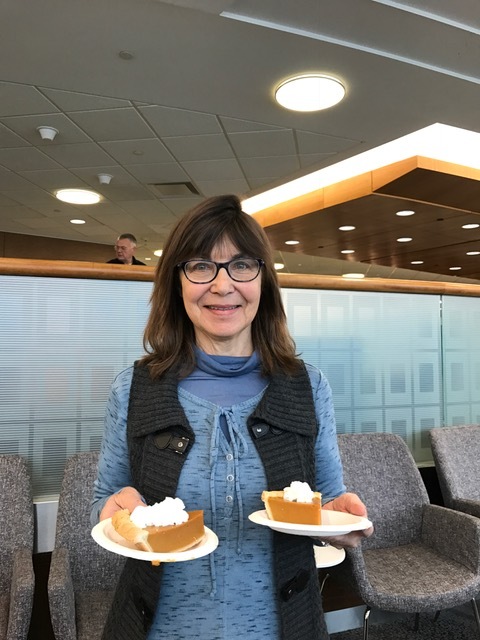 They’re serving pumpkin pie in the airport lounge. It’s pretty good! 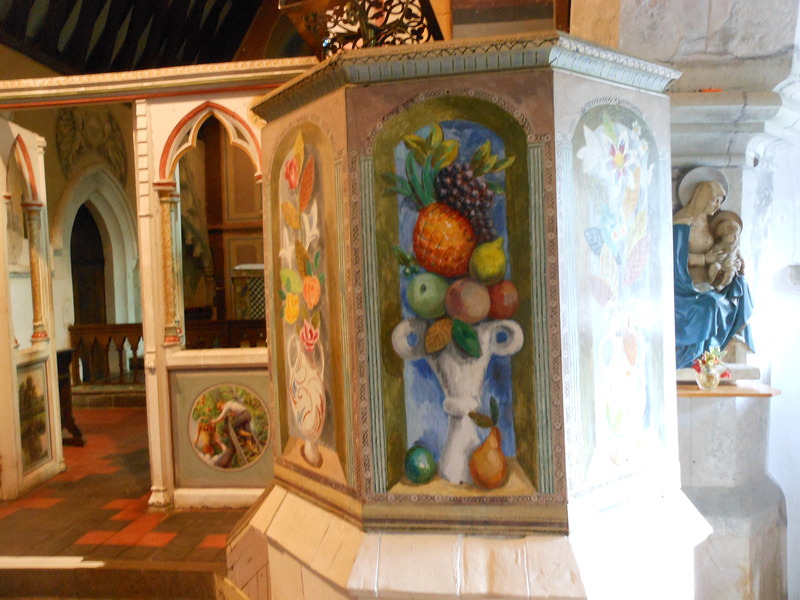 This entry was posted in Art, Artists, British Isles, Cathedrals and Churches, England, Historical Figures, Why I Love England and tagged Berwick Church, Bloomsbury Group, Charleston Farmhouse, Duncan Grant, Monk's House, Quentin Bell, St. Michael and All Angels Church at Berwick, Vanessa Bell on November 24, 2016 by Claudia Suzan Carley.